Quality planning, assurance and control on projects are based on international practice. Supplier quality management is important part of our project realization. 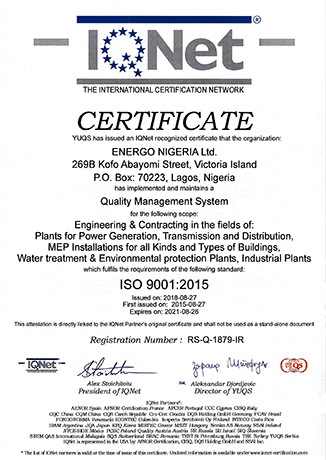 Thanks to Quality Management we ensure that every project is responsibly executed from start to end. Our goal is to protect environment, starting from project planning through designing, constructing up to the project completion and its exploitation. Our activities have minimal impact on the environment in every stage of project realization. 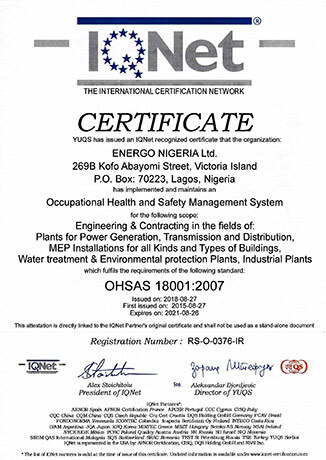 Energo Nigeria Ltd. believes that all accidents and injuries at work can be prevented. Identification of risks before project start and implementation of Health and Safety plan are basics of our everyday activities.